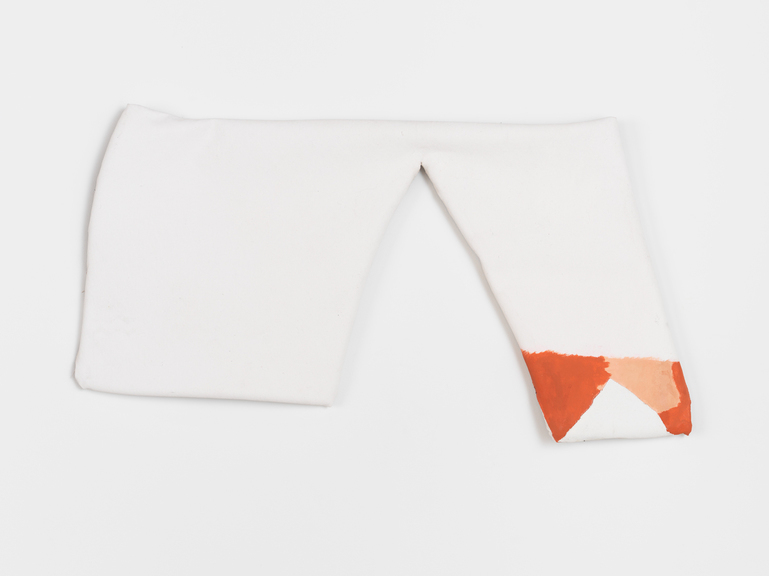 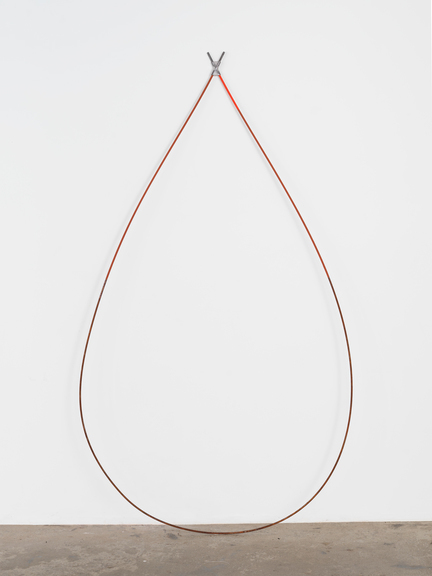 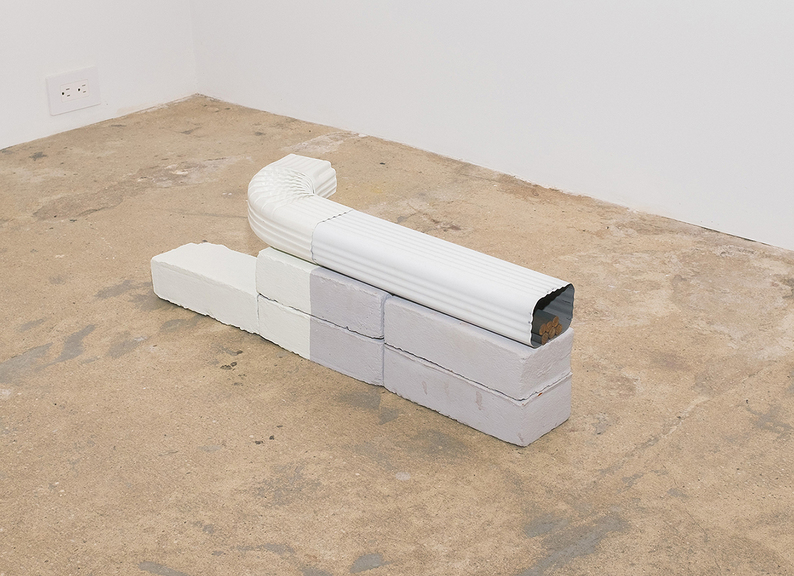 Magenta Plains is pleased to present Linnea Kniaz: Running Bond, the artist’s first solo exhibition at Magenta Plains. 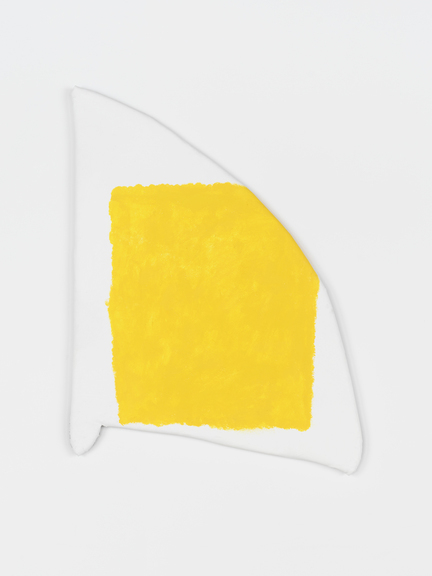 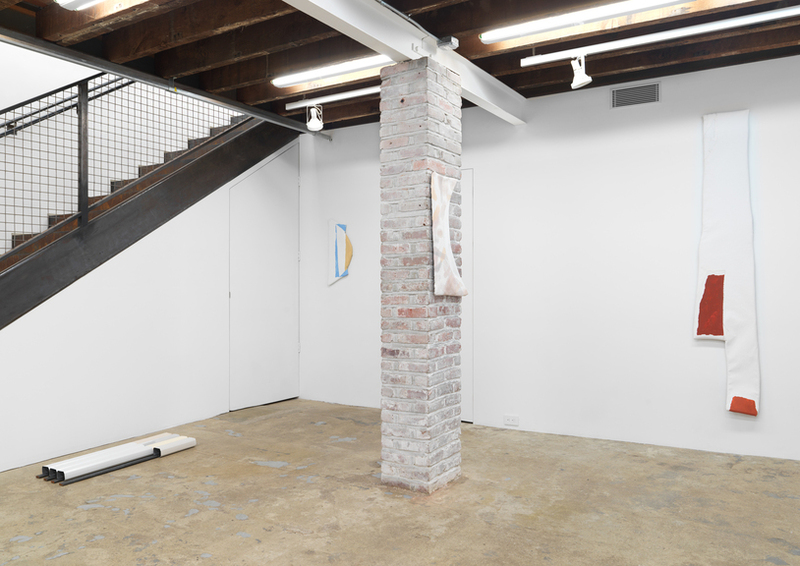 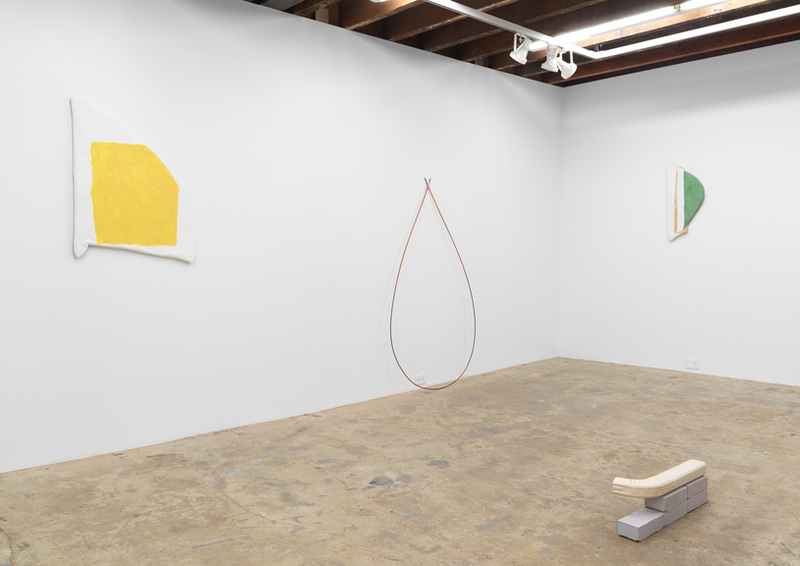 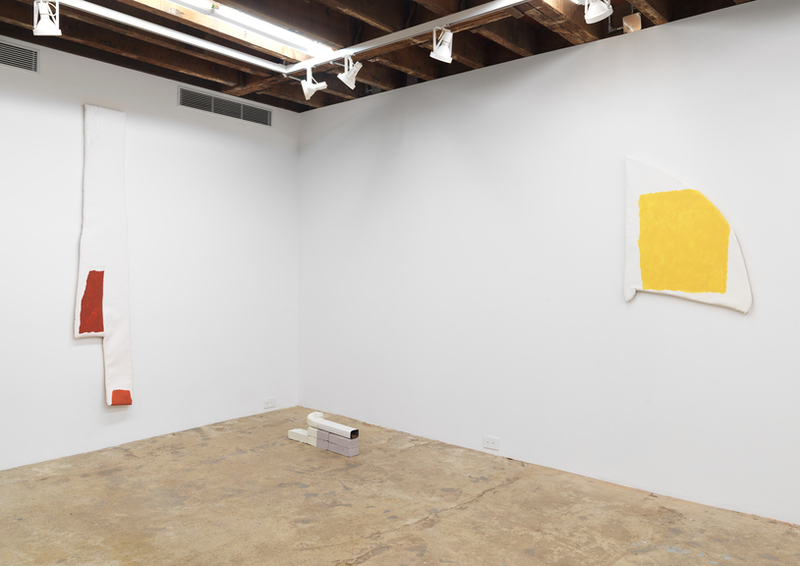 Driven by an empirical approach, Kniaz’s paintings, installations, and freestanding sculptures transgress inherent boundaries of objects, architecture, and form—drawing inspiration from multi-faceted artists like Anne Truitt and Ree Morton. 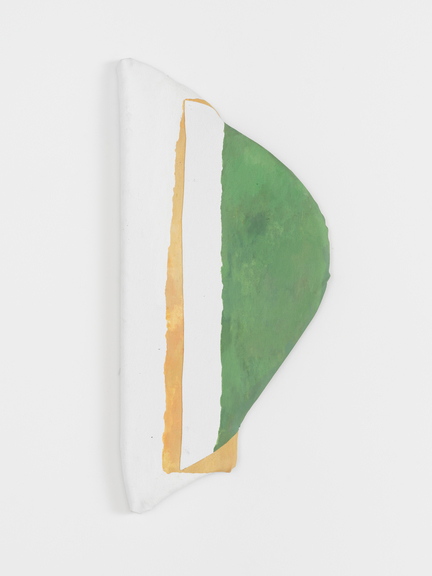 Kniaz’s shaped paintings emerge from observations experienced in the process of making and decisions about color, material, texture, and measurements are dictated by the haptics of her studio’s walls, floor, and corners. 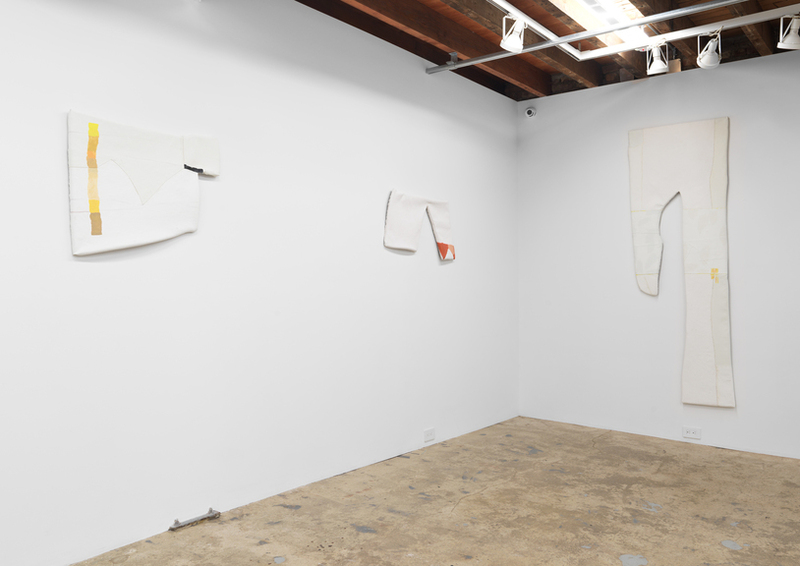 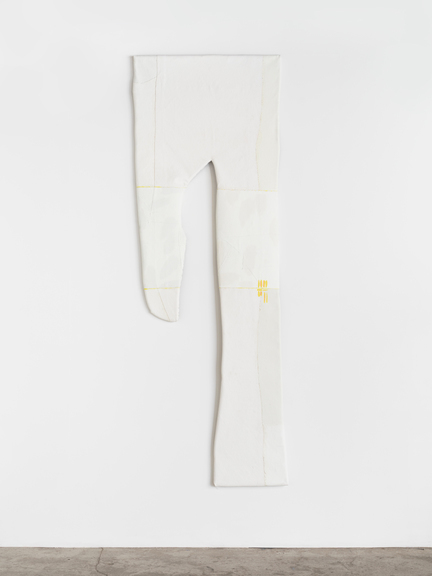 Momentary reactions to the creases and folds in large rolls of canvas are fostered into form. 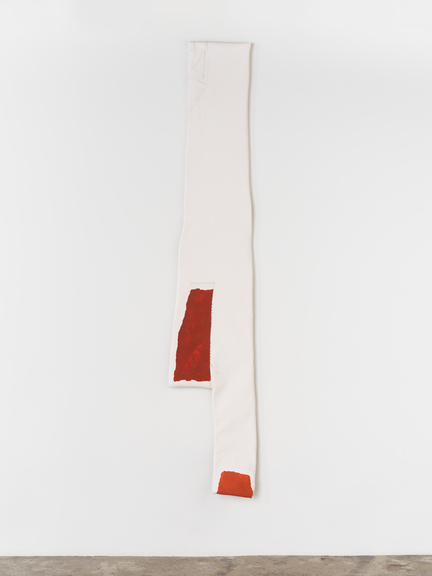 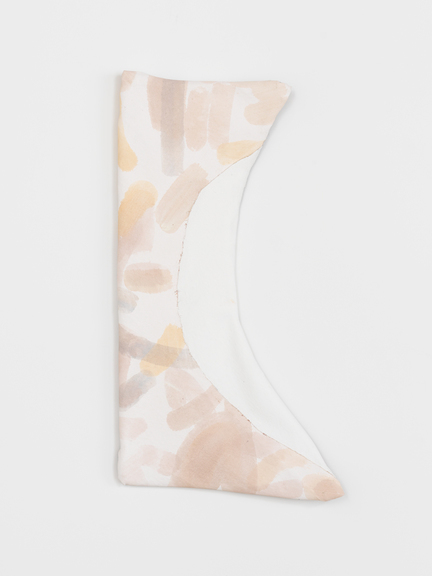 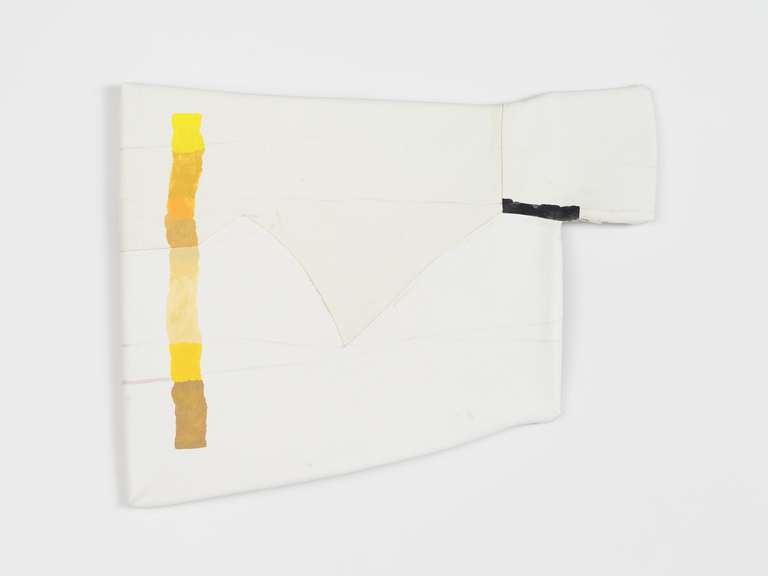 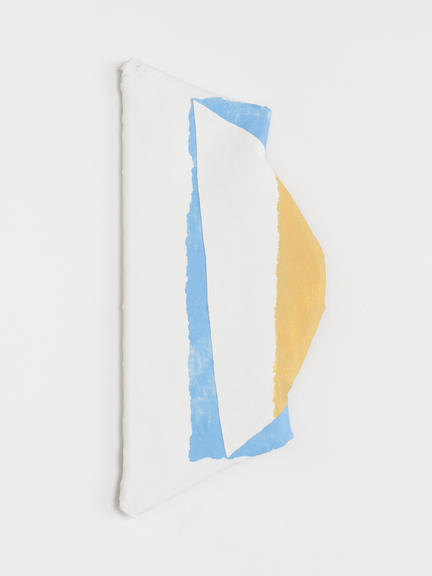 Surfaces are primed with white wall paint tinted with acrylic orange, red, blue, and yellow followed by small, painterly gestures and additional collaging.